You don’t have to be sporting a tux to be decked out in a tie in the rockabilly world. 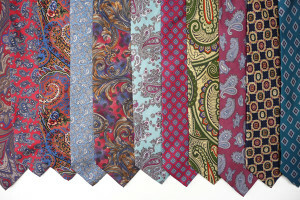 Punk ties are all the rage, and it isn’t just men who are wearing them! At first, they were strictly men’s accessory, but today ladies also wear them. Also, they used to be made only for special occasions, but diversity of models made them convenient for everyday happenings. Although sometimes it’s very complicated to tie a tie, it is very popular decorative fashion detail among the people who like to keep their style impressive and original. The story of the tie is no older than four centuries. In 1635 it was worn by Croatian soldiers. At the beginning, it was just a scarf tied around the neck. Those soldiers were in the service of the French king, who was delighted with this unusual fashion bit. Actually, the whole Europe was soon very delighted with it. England saw its first tie when Charles II came back from exile. In the speed of light it has became an important style determinant. Punk and rockabilly culture is also very open for awesome details like neckties. Punk ties have a special meaning. Beside the aesthetic effect, which is usually badass, there’s the social meaning. Since ties are often worn in offices and since they are a kind of symbol of uniformity, punk rock lovers actually wear them ironically. Punk, as the area of high creativity and originality, combines the craziest ties with all the possible clothing options. Punk girls often combine ties with awesome skirts like these or even with some swell and elegant dresses like the ones from this collection. All the fashion rules are now broken. Inspired by retro punk and rockabilly spirit, we made a crazy little collection. It is here, waiting for you to make your choice. The good old punk symbols like skulls, playing cards and rockabilly animal print are placed on the high quality materials. These punk ties are classic, retro, but also fresh and fashionable. They have the power of turning your everyday clothing combinations into something extraordinary and awesome. 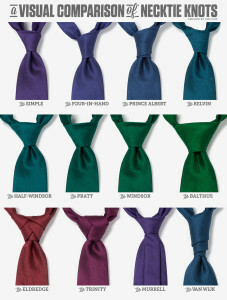 They can also loosen up your elegant evening combinations. The keyword is game: play with the endless opportunities of the ties. We’re waiting for you with many other awesome fashion details. Our punk rock clothing community is ready to help you keep the rebellion alive and make your style complete. Visit us and enjoy this fashion art full of true vintage punk!